Compliant with the latest British Helmet Safety Standards: BS 7928:2013. Single Shell Protection System - creates a much lighter weight than the Masuri Vision Series helmets. The Masuri Legacy Senior Cricket Batting Helmet is much lighter in weight than the Masuri Vision Series helmets thanks to its single shell protection system. 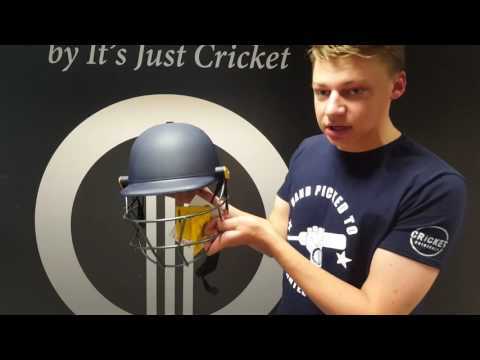 Still designed and manufactured in the UK, and fully compliant to the latest British Helmet Safety Standards, BS 7928:2013, the Masuri Legacy Senior Cricket Batting Helmet is an excellent value for money club level helmet from the undisputed market leader in cricket helmets.